Last week I had a meeting in Dublin City Centre. So I got a lift into Dublin City. What happens when at about 5pm, peak traffic one hits near Sherriff Street and tries to get to Merrion Square is very little by way of movement. In fact one could nearly pull the hand brake and set up the picnic table. However if I back tracked about 2 miles I could get on a bike, for free, cycle to Merrion Square, park the bike and that’s that. 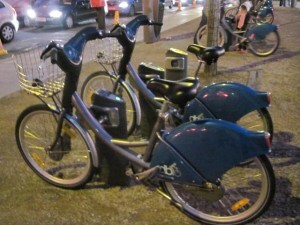 The cost for this Dublin Bike Scheme is a registration fee of €10 per annum. And assuming none of my journeys are over 30 minutes then that’s all it will cost me for the year. Realistically, unless I’m going on a back packing journey around Dublin… I can’t see any ride lasting longer than that. When I went to St Patricks Park last week [I had a meeting near there just before] my next meet was on Baggot Street…. I walked it. Not a problem, but the cycle would have made things, well, more efficient time wise I suppose. 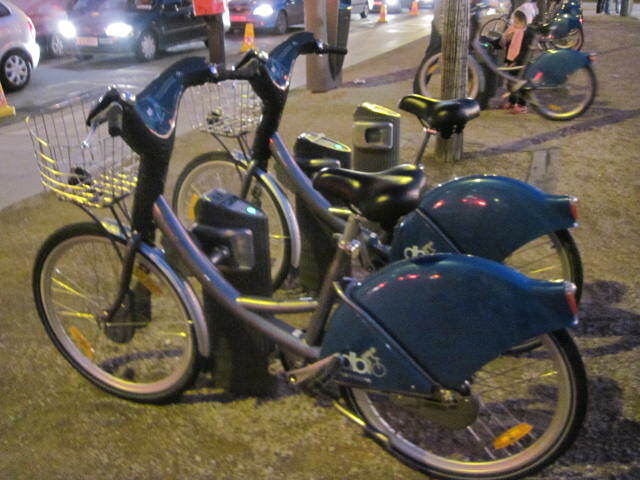 There used to be a handy iphone app for all of the locations… which made it really easy to figure where was best [for you] to drop your bike back – but JC Decaux who did a deal with Dublin City Council in exchange for advertising space put a stop to that. Anyhow, it is a great idea. It does work. And for ten bob…. one can’t really complain. 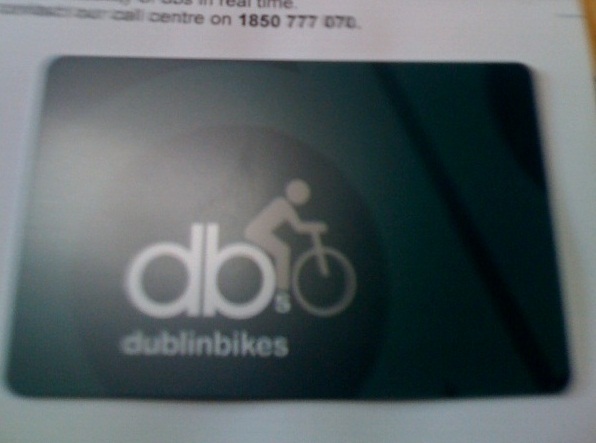 Go to the Dublin Bike Scheme website, have your credit card handy and give it a whirl. It takes about 2 weeks to get your card through the post. Excellent post Peter, I didn’t realise it was only a tenner for the year. And I thought you had to pay every time you used it regardless of how long you had the bike. Renewed interest for me! yeah it’s pretty great value being honest. I simply kept forgetting to register…. pretty handy for those who work in town. and yip well worth the tenner…..
is there a bike stand near there…..? A Gardening Course …? The Guardian Newspaper – The New Carbon Hypocrites…?